General Motors president Mark Reuss has said the automaker’s plan to transform Cadillac into its main electric car brand will be its last attempt at making the luxury brand a success. Reuss didn’t elaborate on what might happen to Cadillac if it the EV push failed to gain it momentum, but with GM discontinuing numerous profit-losing vehicles recently, the automaker likely wouldn’t hesitate to kill it off. GM has been pontificating about Cadillac’s turnaround since the early 2000s, when the automaker set about recapturing the market share it lost to brands like Lexus in the mid to late 1990s. Sales did increase by a small amount until the financial crisis of 2008, when they fell to just over 100,000 units a year in the US. Sales then stagnated at around 150k units annually until 2013, when the introduction of new models like the ATS helped push sales to just over 180k. Cadillac got serious about competing with Germany and winning over young buyers in 2014, when it hired on former Audi USA CEO and Infiniti global brand boss Johan de Nysschen to oversee its operations. The South African born executive led the brand’s move to Manhattan, where it attempted to better align itself with the hip, urban buyers that it had struggled to win over in years prior. Sales under de Nysschen peaked at 175k units annually in 2015, but by 2018, they had had fallen back to around 150k units a year. GM recently announced it would be moving Cadillac out of NYC and into a new office space near its research and development center in Warren, Michigan. This will allow Cadillac, which is now GM’s lead electric car brand, to quickly and more effectively communicate with those in charge of its products. The move will also save GM money as it looks to cut costs and prepare for a potential industry-wide downturn in sales. It would seem that a clean break—maybe a spinoff tasked with profitably competing with Tesla and all the other brands planning to develop EVs—would have made the most sense. I guess they’ve invested too much in their current lineup and all the future ICE products (CT4, CT5, CT6, new Escalade) to do that. How is it that they have all this EV product knowledge and experience, but they’re not ready with follow-on EVs for Buick and Cadillac? Maybe they’re still coming, but this announcement makes it seem like they’re a long way off. And they’re laying off people at their battery assembly plant! I know they need to make money on whatever they sell, but even Tesla is finally starting to make small profits. GM should certainly be able to leverage its scale to do the same thing, especially when spreading the development cost over multiple vehicles and brands. The timeframe on their Cadillac “turn-around” conversion to EVs seems like it will have to be decades long. At least they see the potential they have and the ramifications if they don’t succeed. And at least the vehicle they teased is supposedly farther along than concept stage. We’ll see! I wonder what their definition of success is for this. Great to see VW announcing it will build a US$800 million EV plant in the U.S. That’s right, NOT China or Mexico. The U.S. of A. Funny how all the foreign brands see the U.S. as an important investment country but GM under Miss Mary Barra keeps making excuses and firing Americans. Yup, the same Americans who bailed out her company to the tune of $50 billion PLUS! Talk about stabbing the American taxpayer in the back. VW, Toyota, Honda, Mercedes, Ford, BMW, and more all making HUGE investments in the U.S. now. NO MORE BS EXCUSES why you cant build vehicles in American profitability, unless you are just a complete idiot Mary and GM. In GMspeak, “turnaround” is a perpetual never-ending endeavor with no end date. We have seen these “turnarounds” try to take place at Oldsmobile and Saturn. We know how those have turned out. It sounds like Reuss is setting the stage for Cadillac’s demise. GM and it’s clown car of managers don’t have the vision, drive, or patience to really form a plan and stick to it. Many of the Cadillac vehicles over the last 10 to 20 years began as good enough vehicles that given continual improvements and marketing support would have been successful products. With GM, management can’t stick to a plan long enough to see it through to success. That is a sign of a lack of discipline and too much focus on next quarter’s EPS numbers. Reuss’s total compensation has averaged over $8,000,000 per year for the last 5 years, (It was over $10,000,000 in 2015) as head of Global Product Development, as the product lineup gets worse every year. It is barely related between the last remaining GM markets, North America, China, and parts of South America. One can buy the same BMW in China, Europe, Africa, India, Russia, Japan, and the U.S., whether it’s a 3 series or a X3. GM no longer produces a single vehicle that anyone would want in most of those countries. GM should just sell the Cadillac name while it still has some value to a competent company that could make something out of a once great name. I think you hit the nail on the head, though I doubt GM will ever sell the brand. How is it GM management doesn’t realize Cadillac is suffering more from neglect than failed turnarounds? I Completely agree! It’s so disappointing every new car announcement from GM/Cadillac sets the stage for excitement but every vehicle is about 80% there. 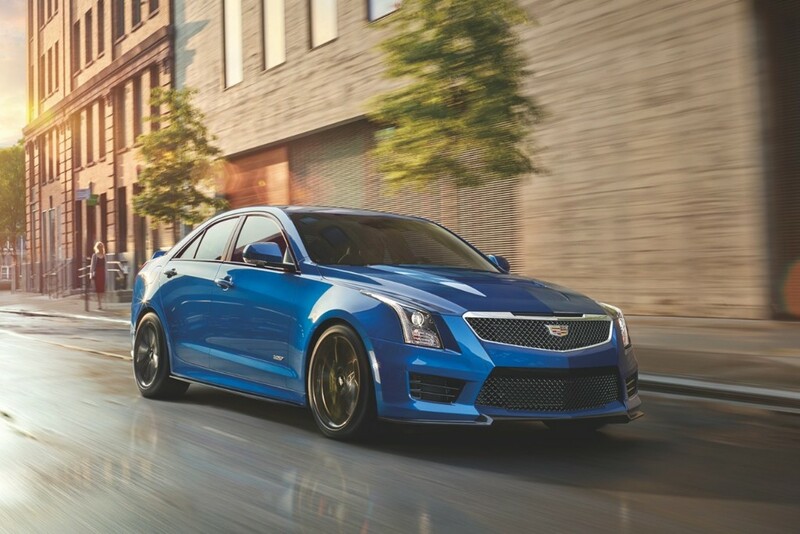 While I think the current CTS-V is a fabulous it hasn’t been updated since it came out. Every other manufacturer brings out the car and continues to improve it and make it more desirable. GM/ Cadillac comes out with a Vehicle, puts it out there… Hardly markets them and then if they don’t ignite the market, they’re simply killed off. Cadillac has been waiting 11 years for three row crossover and the brand new XT6 is already a disappointment in so many ways such that nobody’s really talking about it and it was just introduced yesterday, Where as the Lincoln Aviator concept is highly anticipated and from what we’ve already seen is stunning inside and out. I heard that orders for the CT 6V I’ve already been sold out. Hey GM why are you only making 275 Of these… Clearly THIS is the right car to be making… To say “are you stupid” … It’s obvious you are! Cadillac is being neglected by gross incompetents and Is perceived to continually fail because GM is not building fabulous luxury cars people absolutely got to have, but vehicles that fit with in some crazy GM “process”. It’s pathetic to watch and quite honestly I don’t see how GM is going to be around in 10 years. They say they are focusing on EV’s and autonomous vehicles that currently no one wants and once there is a market for those vehicles GM products will again be 80% of what the market is demanding. Yep…having cross-shopped MB/BMW and Cadillac over the past 15 years, it’s very apparent the other brands are much more proactive about improvements and meaningful mid-cycle refreshes. Cadillac may have a “one and done” approach because they are underfunded and neglected. To their credit, Cadillac has put out a few gems over those years and I think the CT6-V might be the next one. It can be a bigger, bargain-priced M5 — that’s assuming they did not abandon it in the middle of the development (can’t rule this out, so we have to wait for the reviews). Unfortunately, the only folks at GM who realize the significance of a halo vehicle that competes with the best Germany has to offer are likely buried in the depths of the organization. That would explain the indifference toward the early-demise that was somehow corrected. 3) A fresh start-up company raising a few $B to focus exclusively on this without baggage might do better. So if Cruise can become independent and disassociate with GM, there is hope for them as a separate entity – surely not GM as we know it. Let’s not forget GM is being funded by pickup trucks that are now picking up the rear in Big3 comparison tests. This has bad long term implications. Sure, GM can keep trimming fat and keep improving bottom line and shareholder value over the next 3 yrs or so. But if they are not careful, they might hit the breakpoint where the neglected cash cow will cease being able to pay the bills — and unlike Tesla, GM will not be able to survive on vision, hype and pre-orders. We can only hope a Bob Lutz-like executive provides them a wake-up call. Mary Barra must go. She is a fraud and obviously way out of her league. Promoted to CEO only because she is a woman and lifer at GM, not due to being exceptional. Typical GM madness. Mary, stop trying to make excuses for bad investments in Mexico and China and realize the world is changing and all the major automakers are rushing back into the U.S. for a reason. Remember it was the average American taxpayer that bailed out GM and why you even have a job. I love the idea of Cadillac but it’s a constant disappointment and there is nobody to blame for it but GM. If they ditched Cadillac it would allow GMC and Buick to move up market some, so I’d say it’s a good move. You’d have to hope that Cadillac isn’t showing all their cards … that they’re farther ahead into the BEV3 plunge than they’re letting on. Right now, it looks like the batteries will come from China, and – near term- maybe the vehicles, too (if they plan on addressing this quickly. Buys them time to establish some on-shore manu facilities; right now, from the outside at least, the do-or-die plan feels a little fuzzy & pie in the sky. GM’s domestic EV experience is the ELR, the Volt, and the Bolt. Oh, and the Saturn EV1. Not a super-solid foundation, unless there are developments we mortals aren’t aware of. Why wouldn’t the batteries just come from Holland, MI since the Volt batteries will not be produced there anymore? LG Chem has a pretty large factory there that they just expanded last year. I think these plans have been in place longer than GM is leading on. I’m sure they didn’t just wake up last week and create a plan and sketch. I wondered the same thing – if they’re going all-in on EV, why are they reducing staff @ the Volt battery facility? Everyone is moving manufacturing out of China into other parts of Asia and the U.S. especially, or making new investments in the U.S. Just like the just-announced US$800 million VW electric vehicle plant investment — NOT CHINA!!! That is big. I appreciate the lucidity. This certainly isn’t what we want to hear but its truthful. I’d prefer he say something like “Cadillac is guaranteed to become a world leader in luxury sales and innovation within the next 3 years” but that simply isn’t reality. It’s good that Mark understands the pressure Cadillac is facing as a brand. Sigh, looks like they’re already contemplating throwing the towel …. Typical GM. I said it before & I’ll say it again, Cadillac’s only chance is a spin off & an independent owner. Basically what I have been saying. I will forgive them for the XT6 interior debacle if that is what brings in the money for Cadillac to have NO Comprise and NO excuses EV vehicles. The money GM has these EV’s better be best in the World. No more excuses for Tech, and Interior materials and design. I think Cadillac could have had a turnaround sometime ago if the had not produces vehicles almost as good the competition fo almost the same price. To overcome a bad rep like they had and in some cases still have you have to bite the bulletin and produce better product for a better price. They quiet possible could have lost money in the short run but chances are that would have better assured they would survive in the long run. If you give the customers and potential customers a good enough reason to choose your vehicles over the competition chances are they will. Not only will a better quality and better styled interior help but more choices would help too. Not to mention a better web site to build and equipped your vehicle. Cadillac is just one example of GM’s in-a-vacuum thinking that is bringing the whole company down. They tune out competitors, the media and discerning customers and focus on squeezing every conceivable penny out of product development. Mediocre, moderately competitive vehicles are the result. What’s worse is that they have also adopted a blindly arrogant attitude about pricing for those lackluster products. Asking prices are through the roof, only to be discounted with fire sales (“20% off MSRP!) making the products look bad for being overpriced in the first place, then heavily discounted to make them move. GM’s legacy problem is that nobody will notice, that they don’t really have to compete and just good enough is just good enough. They can’t manage their way out of a paper bag. There was a brief period when Bob Lutz was on board where the company finally began to see the light. They have since returned to their old ways and the future isn’t looking bright. Cadillac could have easily turned if GM had a complete cohesive plan and stuck to it. Too often they would not fully commit to what was needed and they would not put and keep one person in charge to hold this vision together. The run the division buy committee or board as in this case have hurt them at every turn. I though at the point JDN arrived and moved them away from Detroit we finally were on the right path. But then they pulled the plug to go back to the committee think. Now we are to the point we say it is the last chance. Lincoln has been at this for over a decade as they were set to die several times by board think. I think the harsh truth is in the future car sales will vanish. Let’s face it they are getting too expensive for many to buy or maintain. The autonomous and ride sharing is like a foundation for pod hopping. I do not expect this in the near future but it is like they are building to it. The way GM is investing in the future it is like they just want to sell technologies not cars. For making money this may be the more rewarding path I hate to say. IBM was king but today it is the companies supplying technologies to them that are now king. I think if it’s their last chance, they should make the best product they could possibly dream up. They need to build something that is going to be competitive with the best imagined vehicles 2 or 3 vehicle generations down the road. At least if they fail in sales, they will have a legacy , of which they can be proud without exception. But here’s an idea that could certainly fix anything with Cadillac, before ever building the first EV.. offer more choices within the current product portfolio. It bewilders me how Cadillac and GM execs believe that they are going to sell 6 vehicles (because the XT4 didn’t arrive until Dec and the XT6 just got here.. plus they discontinued the ATS Sedan) vs say Audi, which has 12, or BMW who has 16, or Benz who has 13, and Lexus with 12 and still believe, with no advertising, that they are going to pull in those brand’s numbers ? Yup.. U guessed it.. Cadillac with 6 vehicles beat Infiniti and Lincoln.. and Acura.. last year.. or damn close.. because all those makers had 6-8 vehicles too. They just need to commit to a long term plan and stop changing direction every three years. At this rate when the new CT5 comes out they will change it back to the CTS claiming that people were confused or something like that. Also EV’s do not have major market share yet. A large portion of American’s are not interested yet. I’d say making good hybrids is the way to go as the range will always be better. Now if Cadillac commanded the prestige like it used to in the early 20th century. They could make very expensive low volume electric vehicles which could justify being in the Bentley price range. I’d be all for them going for all the new technologies, EV, fuel cell, natural gas, etc…. However they need to build up that reputation. I know I could be completely wrong but I just don’t know what image they are trying to pull off when their commercials appeal to hipsters who don’t care about ownership. Bring in the engineers? No bring in the fashion shows and coffee shop..oh good Lord. This can only signal a positive turn from Johan’s direction. I call into question Marks comment. What better way to encourage me than to tell me the $80k vehicle I may be buying could be a lame duck before it arrives. It is almost like he is killing it before it arrives no matter how good or bad it is. He is simply stating that EV’s whether people realize or not will become a true reality. That is all he means. Get rid of Buick in the United States and give GMC to the Cadillac division. There still are too many dealers out there. Then the Cadillac dealers would have something to sell until the Cadillac division recovers.